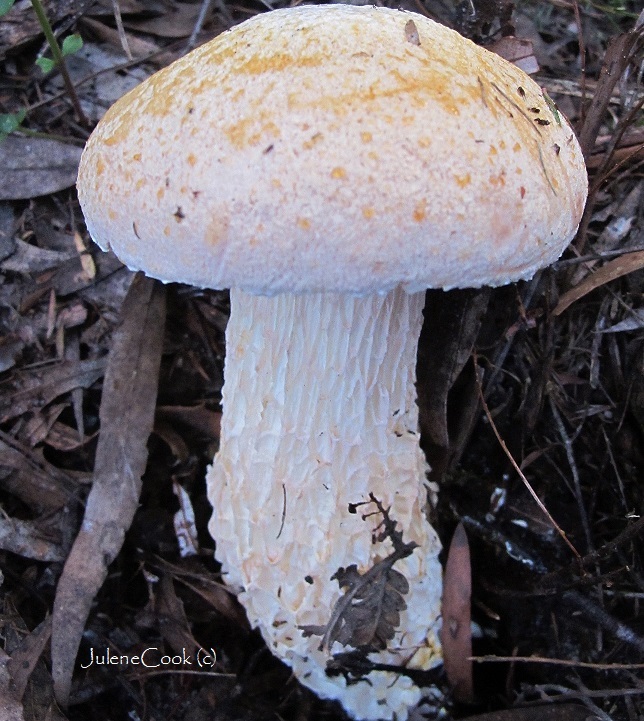 At the macro level Australian Austroboletes are recognised via their lacunose stems, which are like a lattice. Cap: To 10cm, convex eventually saucer shaped, initially pale pink, eventually apricot, chamy-like but sticky as it sweats amber coloured, insect attracting bitter viscid drops , incurved somewhat ragged margins. Pores & Tubes: Initially, white, very small, round and tightly packed, eventually becoming wider and pinkish. Stem: To 20 cm, viscid, tapered into the ground, with a lattice of ridges and hollows and the same sticky droplets as the cap. 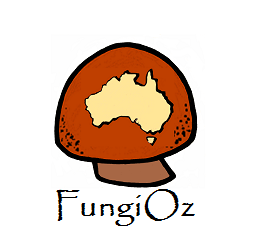 Found: Grows singly or with several on narrow peppermint eucalypt forest floor, (EVC 45), early winter. Fungimap target species: Go to “Map a species” to report a sighting. Cap: Convex, 75 mm, skin margins overhang raggedly, slightly sticky but not slimy and no sweating, smooth, flesh coloured. Pores: Palest pink, angular, close, non-bruising. Tubes: Pale pink, unattached to stem, convex tube-face. Stem: White, with some internal yellowing near base, with a network of deep holes and ridges , fibrous, centrally attached, 60 mm. Found: Early summer near recently burnt grass tree bushland. Fungimap Target Species: Go to "Map a species" to report a sighting. Cap: 50-70mm, convex, amber coloured, glutinous skin, ragged at margins. 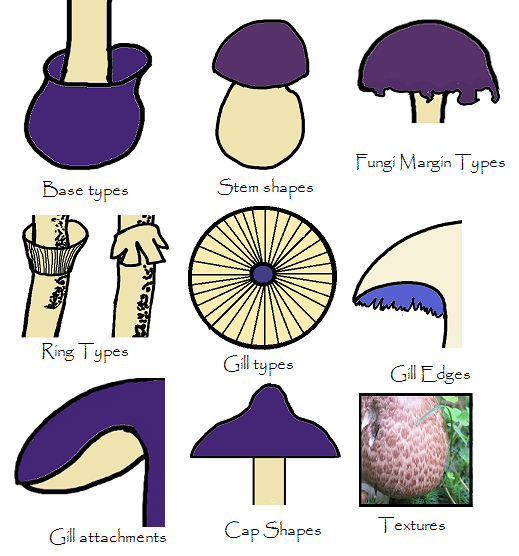 Stem: Has white roots, tall, thin, cylindrical with a central bulge, white with a network of deep pockets and ridges, slimy and amber coloured under cap. Spore print: Pale pink brown.